This project began in 2016 when Spektral Quartet asked me for a short work. The quiet, episodic 12-minute study, Quartet Movement, though a work that stands on its own, felt like the seed of a much larger musical experiment. Since them, I have been gradually expanding the material and sound design to create a string quartet with a broader emotional and technical range. 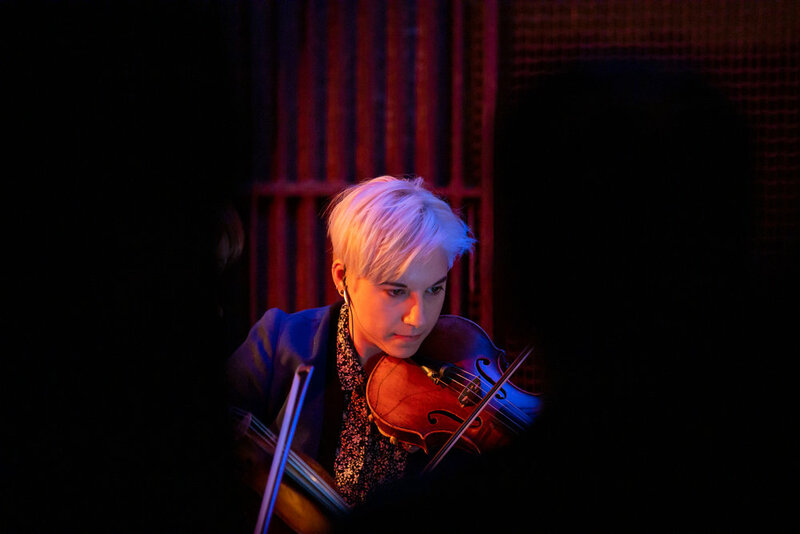 The crux of the piece is the relationship between the minimal digital language of the resonating snare drums and the warm, acoustic complexity of the string quartet. 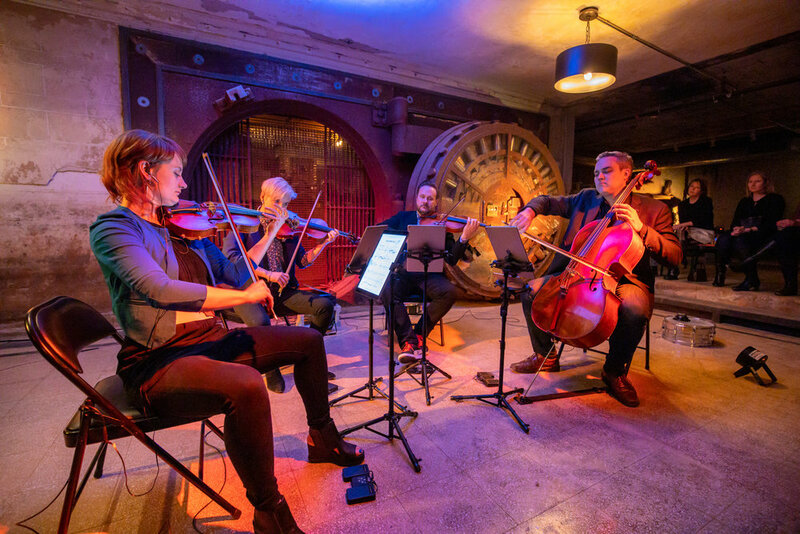 Throughout the five movements, the string quartet aligns to the fixity of the digital sound in different ways: in time for movements 1, 2, 4 and 5, and in pitch for movement 3. The result is a virtuosic display of four individuals performing with artificial, indifferent musical elements. Together, a complex polyphonic musical organism emerges; the voices of the quartet are rarely placed in a hierarchy in relation to one another or in relation to the snare drums. Repetitions are heard on every level, from large-scale formal refrains to the hammered chords in movements 1 and 4; from the granular, strobe-like sounds in the second movement to the gently rocking cadences, tuned to the frequency of waves lapping the shore, that end the work. The title Current seemed appropriate both for its reference to the electric currents that activate the resonating snare drums as well as the intense, weather-blasted quality of the work’s sound world. 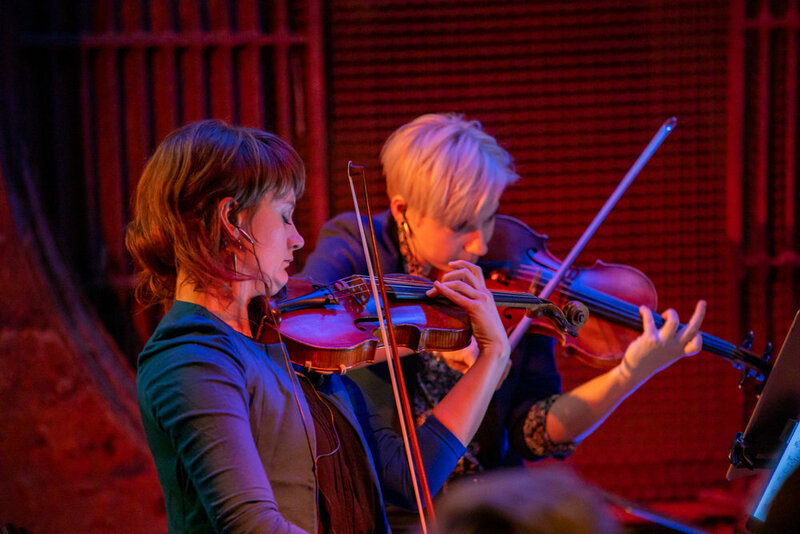 This work was co-commissioned by Spektral Quartet and Cal Performances, with additional assistance from New Music USA. The work in its entirety will premiere on April 5, 2020 in Berkeley, CA as part of Cal Performances. It is dedicated with utmost affection to Spektral Quartet.